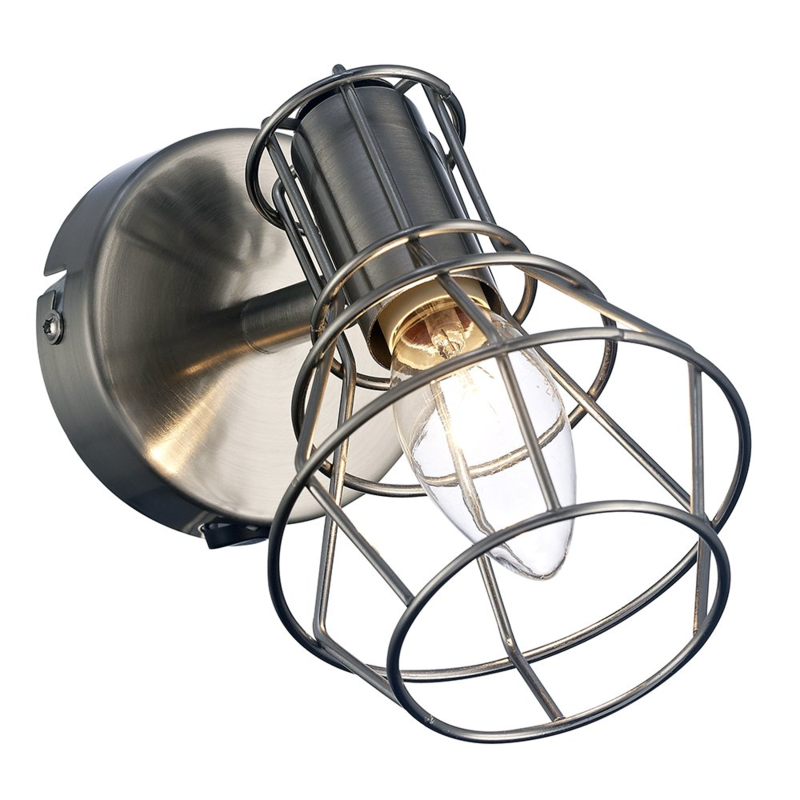 Contemporary and stylish satin nickel plated wall light fitting with fully adjustable head. 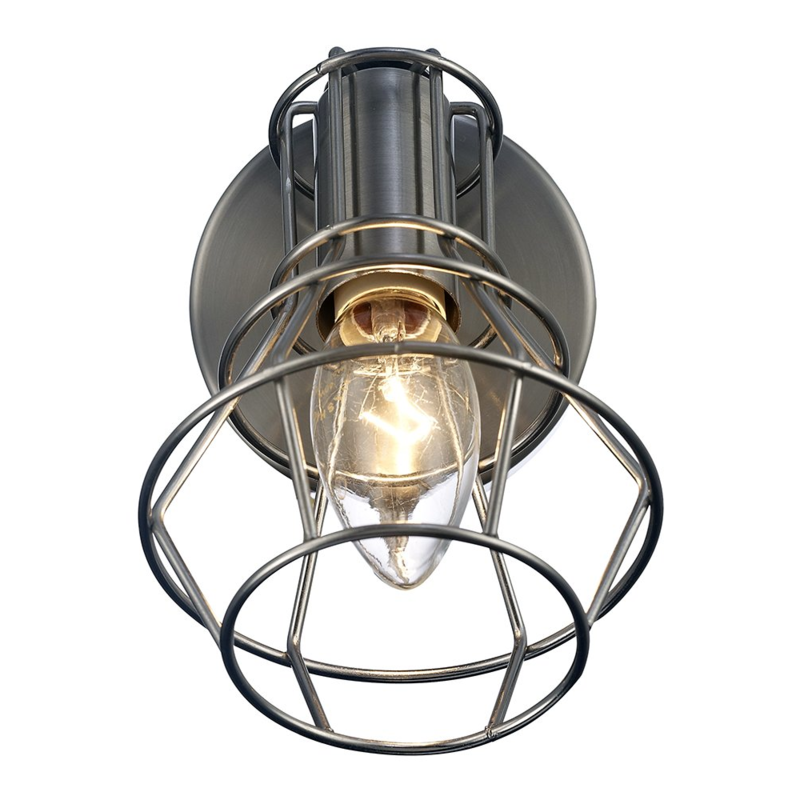 Includes matching colour unique metal cage shade - designed so that replacing bulbs is easy. Total dimensions: Height - 13cm, Projection - 13cm, Width - 9cm. Requires 1 x 40watt SES (E14) bulb - not included. Low energy and LED bulbs may be used if desired. This item features an on/off rocker switch button located on the bottom of the base plate.